We'll be in touch when the prize draw is over if you are a winner. Let your friends know you've entered! Named after the Scots word for Highland cattle, Kyloe is Edinburgh’s original gourmet steak restaurant, serving only the best Scottish dry aged beef. Located on the first floor of The Rutland Hotel and with excellent views of Edinburgh Castle, the lucky winner will have the chance to dine in style and tuck into some of the finest cuts of beef the capital has to offer. Starters include a mouth-watering array of dishes such as Highland Wagyu Beef shin and Loch Fyne oysters. 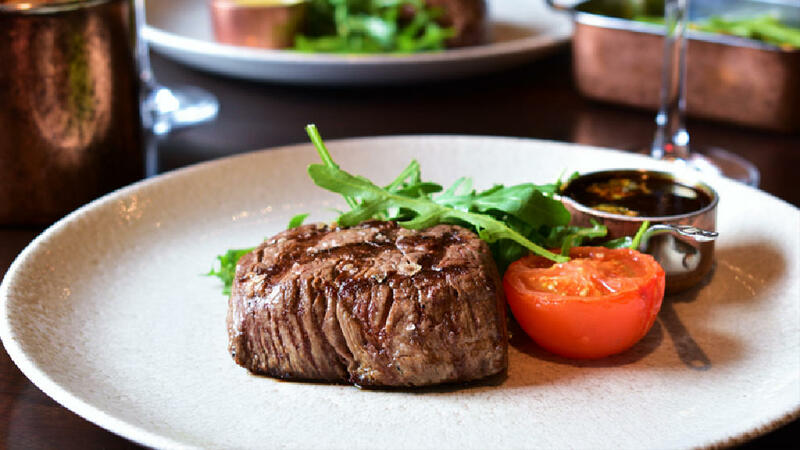 For the main event, there’s a meaty array of choices including rump, sirloin or fillet steak or you can opt for a delicious chateaubriand sharing steak. For the ultimate steak experience, try one of Kyloe’s in house dry aged steaks that are bursting with flavor. Accompany your steak delicious sides such as beef dripping chips, creamed spinach topped with gruyere and portobello mushrooms . Polish off with one of our homemade desserts or a fine selection of Scottish cheese. To find out more about Kyloe, visit the website online at https://www.kyloerestaurant.com/ or call 0131 229 3402. Sorry, this competition expired on Thursday, 15th November at 09:00. To be in with a chance of winning, sign in or create an STV account to enter. Please note: You must be over 18 to enter this competition. Create an STV account to enter. Date of Birth You must be over 18 to enter this competition. This field is required. It doesn't look like you've entered a valid postcode. Phone Number We need this to contact you if you win. This field is required. This doesn't appear to be a valid phone number. Please tick to show that you have read the specific rules for this competition, STV’s General Competition and Prize Draw terms and conditions. I am happy to be contacted by email with marketing information from Kyloe Restaurant & Grill . Sorry, something went wrong on our side when you tried to enter. Please try entering this competition again. If you continue to have problems please contact STV. You have reached the maximum number of times you can enter this competition. For more great chances to win, head over to stv.tv/win. Please answer all questions. Sorry you must be 18 or over to enter this competition. Sorry, this competition is open for Scottish residents only. Sorry, this competition expired on Thursday, 15th November at 09:00. Sorry, you must be over 18 to enter this competition. Based on the date of birth you provided when you created your STV account, you are ineligible to enter. This competition has special conditions you can read here. All competitions are subject to STV's standard online Competition rules. • The prize will include a three-course meal from the à la carte menu for two adults and a bottle of wine (or equivalent drinks to the value of £40). Photographic ID will be required for those ordering alcohol. • Prior booking is essential. The winner will have until 31st May 2019 to make the booking. • Dietary requirements should be stated at the time of booking. • Extras to the table will be chargeable.